A-Wise Loan & Jewelry address, phone, website, hours of operation, and more. 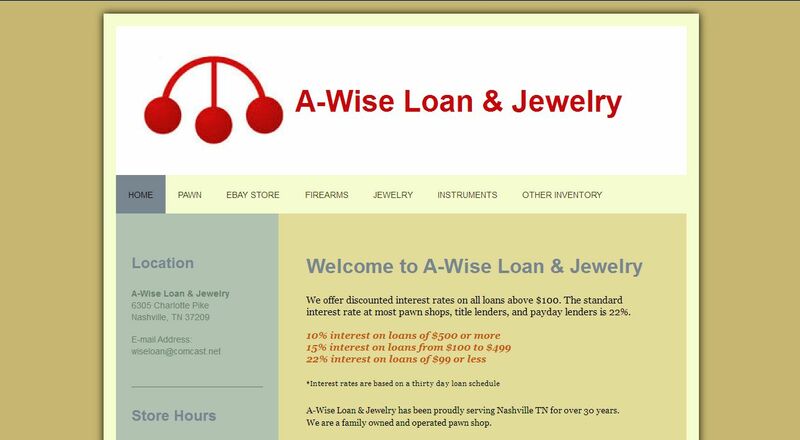 A-Wise Loan & Jewelry has been proudly serving Nashville TN for over 30 years. We are a family owned and operated pawn shop.